In the last decade of the 19th century the United States was in the throes of transition. Economic depression raged. Unionism was defining its relationship both to management and to its own membership. Industrialist J.P. Morgan, labor advocate Samuel Gompers and Congressman William Jennings Bryan were familiar names. The 1893 Chicago World’s Columbian Exposition unveiled the technical achievements of capitalism as well as America’s cultural sophistication. Piano player Scott Joplin introduced a new kind of music: Ragtime. It was against this backdrop of names and events that the coinage of Charles E. Barber was introduced to the American public. Coins are usually referred to by their design, not their designer. 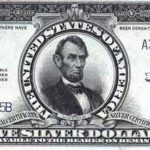 The Mercury dime, the Franklin half dollar, the Walking Liberty half dollar, the Lincoln cent and almost all other coins give no clues, except for initials hidden somewhere on the coin, to the designer’s identity. So when new collectors hear about “Barber Coinage” for the first time, they must think these coins have something to do with haircuts or barber poles. 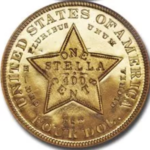 Only four U.S. coin designs are known solely by their designer’s names. 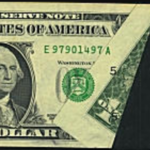 Christian Gobrecht and George T. Morgan are famous for their beautiful dollars. Augustus Saint-Gaudens, the famous sculptor, designed the magnificent 20th Century twenty dollar gold coin. Charles Barber, however, achieved equal notoriety due more to the controversies of his office than for the beauty of his designs. Charles Edward Barber was the latest generation in a family of engravers. Born in London in 1840, he came to the United States with his father in 1852. His father William worked as an engraver for private businesses in New England until, in 1869, he was appointed Chief Engraver of the United States Mint. Charles accompanied him and became an assistant engraver at the mint in Philadelphia. When William Barber passed away in 1879, President Rutherford B. Hayes appointed Charles to the position of Chief Engraver. In 1887, Mint Director James P. Kimball noted in his annual report that in his opinion, the coinage of the United States was out of date and should be changed. At his request, Senator Justin S. Morill introduced a bill authorizing the Treasury Department to redesign coins without the necessity of first obtaining Congressional approval, as long as the design had been in use for twenty-five or more years. The Seated Liberty dime, quarter and half dollar had remained virtually unchanged since 1837. So when the bill passed on September 26, 1890, these coins were first to be earmarked for change. The Treasury Department, against the advice of Charles Barber, organized a competition to produce the new designs. Barber, Augustus Saint Gaudens and engraver Henry Mitchell were chosen to judge the contest. The result was disastrous, mostly because the judges believed themselves to be better designers than the contestants. In the end, Charles Barber got what he had wanted all along. With the support of the new Mint Director Edward O. Leech, he was chosen to do the design work. 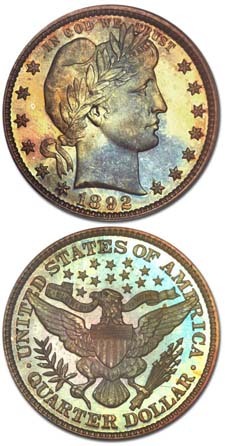 The Barber Quarter, as adopted in 1892, shows a bust of Liberty similar in style to the Morgan Dollar but facing right. She is wearing a Liberty cap with a laurel wreath, and a ribbon ties her hair in the back of her neck. IN GOD WE TRUST appears above her head, and the date appears below. Six stars on the left and seven stars on the right represent the original thirteen colonies. The reverse imitates the Great Seal of the United States and depicts an eagle with outstretched wings, holding an olive branch with thirteen leaves in its right claw and a sheaf of 13 arrows in its left. There is a ribbon with the motto E PLURIBUS UNUM being held in the eagle’s beak and thirteen stars are in the field. The designers initial (B) is at the base of Liberty’s neck. The series has no major rarities, though the 1901-S is a challenge even in low grades. There are two other “keys”; 1896-S the 1913-S, but even these are obtainable at a price. Almost 265 million pieces were minted between 1892 and 1916 in Philadelphia (no mintmark), San Francisco (S), and New Orleans (O). The mintmark can be found below the eagle’s tail. Proofs were minted every year except 1916 and totaled more than 17,000. “Type” collectors particularly favor the 1892 date as it was the first year of issue, and 1909-O, as it was the last issue from the New Orleans Mint. On high grade Barber quarters, look carefully for slide marks and light scratches, especially on the face. 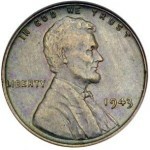 This coin was often collected in albums that used plastic slides. Check for traces of wear on Liberty’s cheek, forehead and the hair above her eye. Also check carefully for wear on the “puff” of the Liberty cap. On the reverse, the eagle’s wing tips, head and tail are the points to first show wear. Barber’s coinage coincided with an innovation in manufacturing master hubs. Large cameo models were made out of wax and a resinous gum, then electroplated. The model was placed in a pantograph or transfer lathe that transferred the design to a master hub of the size needed for a coin die. The new technique allowed for greater precision and allowed the artist easy introduction of more design elements. Of course, one of the criticisms of the Barber quarter was that the design was cluttered. 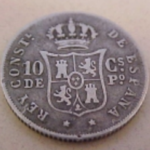 In 1916, a new contest was held to replace the Barber quarter design which had been in production the required minimum of 25 years. This contest was successful, and a new design by Hermon Atkins MacNeil, the Standing Liberty quarter, went into production in December of that year. With their low relief design, Barber quarters continued to circulate well into the 1950’s, still retaining their dates, outlasting the more “artistic” but less practical Standing Liberty quarter. Small or large beads 1966 Canadian Canoe dollar?